On a mile-long island of Aoshima an army of feral cats were brought there to deal with mice that infested the fishermen’s boats, the cats since have stayed and bred. 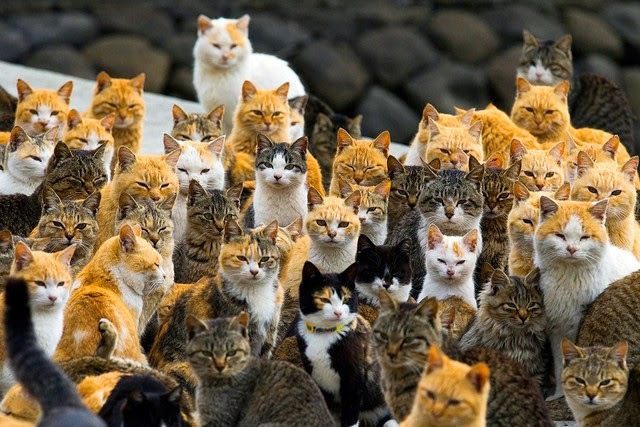 It’s estimated that 120 cats swarm the island with only a handful of humans for company, mostly the elderly who didn’t leave the island looking for work after World War Two. 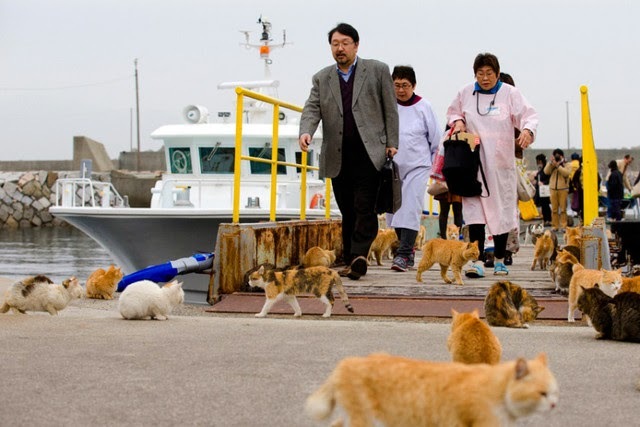 Aoshima, is only a 30-minute ferry ride off the coast of Ehime prefecture, is now visited by tourists from the mainland to see the cats. Residents have found the fascination of tourists visiting the cats weird and irritating to their daily lives. They don’t mind them coming, but don’t want to be disturbed in process. It is now nicknamed Cat Island. The Island has no restaurants, cars, shops or vending machines – just cats and no one is complaining! Since the popularity of Hello Kitty, a cartoon character considered the epitome of cuteness – Cat cafe’s have popped up in Japan and even in the West where people with no pets could come enjoy their company without bringing them home.